A vibrant new voice... a modern classic. For generations, the Beaumont family has harbored a magical secret. 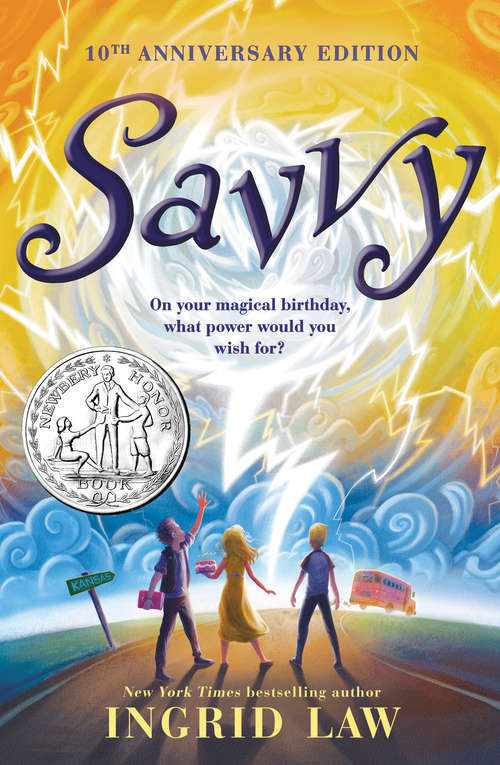 They each possess a “savvy”—a special supernatural power that strikes when they turn thirteen. Grandpa Bomba moves mountains, her older brothers create hurricanes and spark electricity... and now it’s the eve of Mibs’s big day. As if waiting weren’t hard enough, the family gets scary news two days before Mibs’s birthday: Poppa has been in a terrible accident. Mibs develops the singular mission to get to the hospital and prove that her new power can save her dad. So she sneaks onto a salesman’s bus... only to find the bus heading in the opposite direction. Suddenly Mibs finds herself on an unforgettable odyssey that will force her to make sense of growing up—and of other people, who might also have a few secrets hidden just beneath the skin.